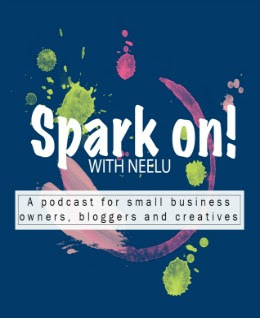 Hello, this is Ujjwal and I am so glad to be on Neelu’s blog today. 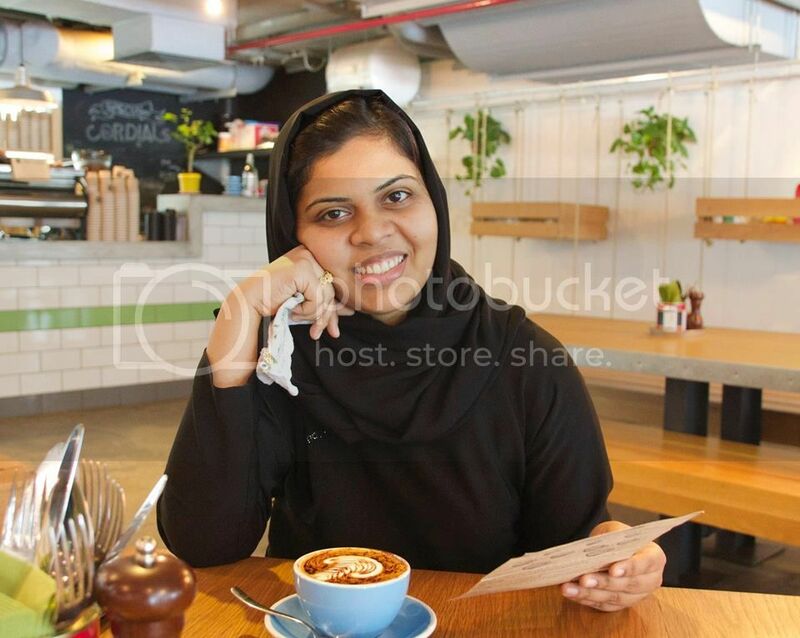 I have known her virtually for quite some time and I love reading her blog. So I couldn’t pass on the opportunity to be here. 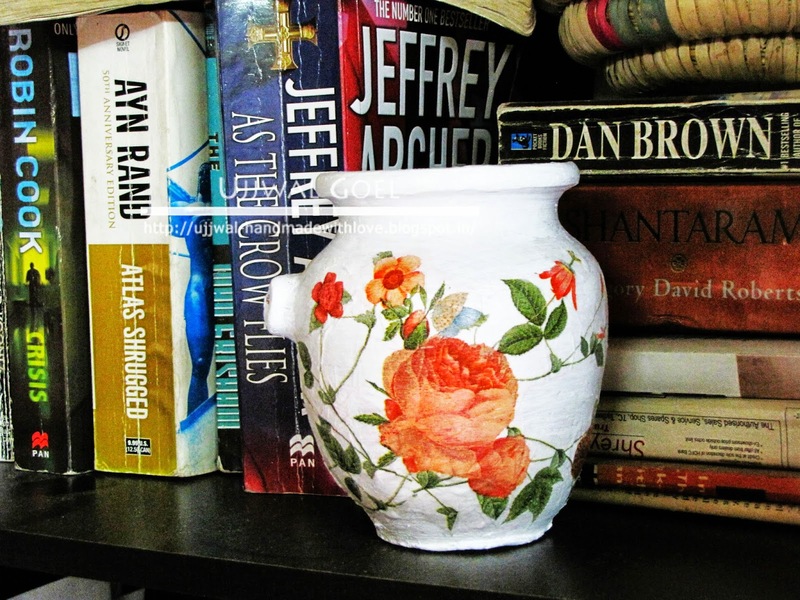 Decoupage is a hot trend these days and rightly so. I love the fact that this simple technique can turn anything beautiful in a matter of few hours and is so simple to do. 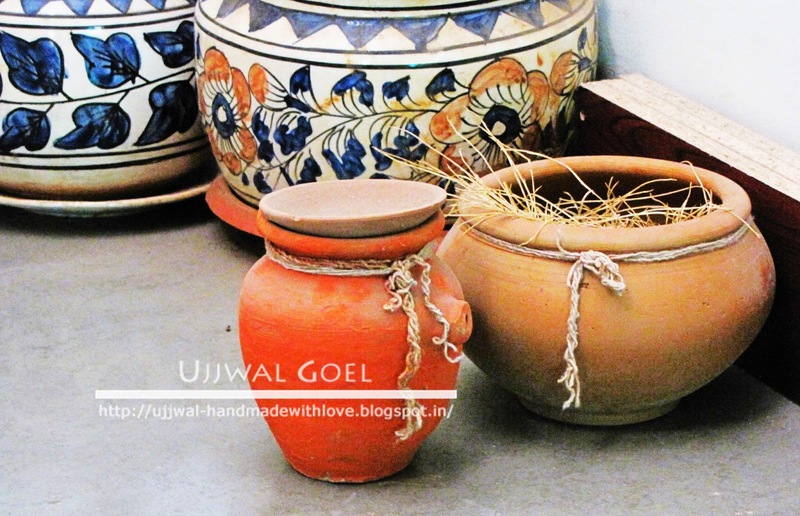 Being in India, I celebrate a lot of festivals and majority of them involve using terracotta pots during prayers. And because I didn’t had the heart to discard them after the festivals, I have been saving them. Today, I will show you how to turn these simple pots into pieces of art without a lot of effort using decoupage. We start by soaking the pots in water for a couple of hours. This step will make sure your pots are clean of any dust. Also, since the pots will be saturated with water, they will take up less paint and give a better finish. 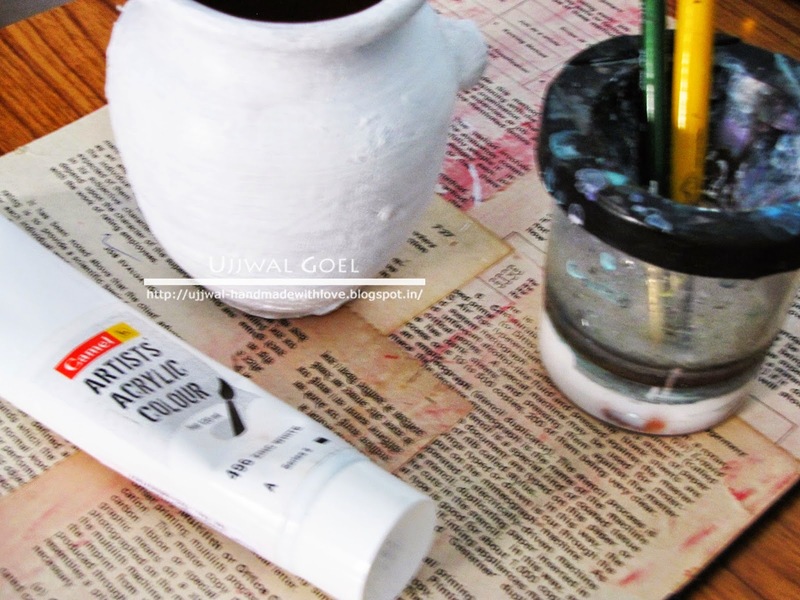 Next paint your pots using acrylic colors. I used white, since that goes with the background of the napkin I will decoupage with. 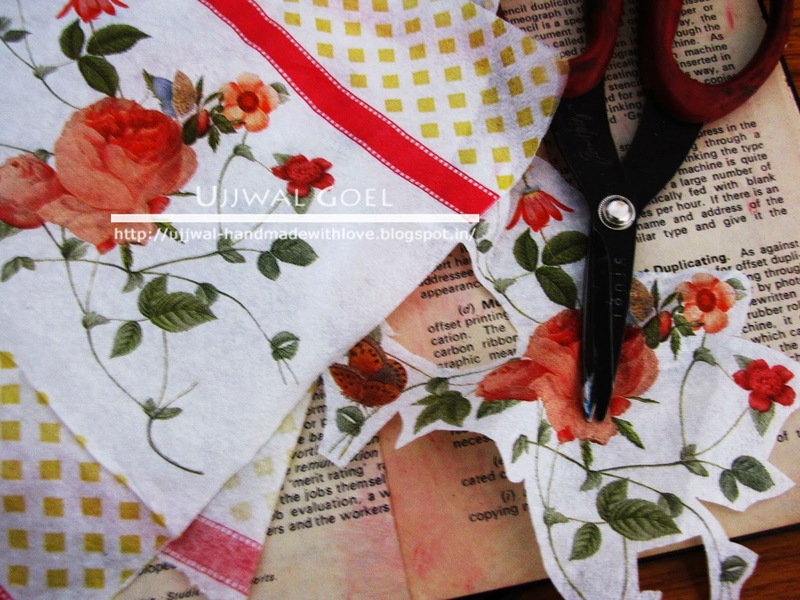 You can choose the color according to your decoupage napkin. Give a couple of coats of paint or till you are satisfied with the finish. I gave two coats. Let dry between coats. Next cut around the image on the napkin for decoupage and separate the napkin ply. We only need the top printed ply. Now carefully place your cut out on the painted pot and tap it in place with a wet brush gently. Water in the brush will add as a temporary adhesive to keep the design in place. Then using another brush, apply the decoupage glue or mod podge gently on the design. Let dry. Give a couple of coats of mod podge and you are all set. 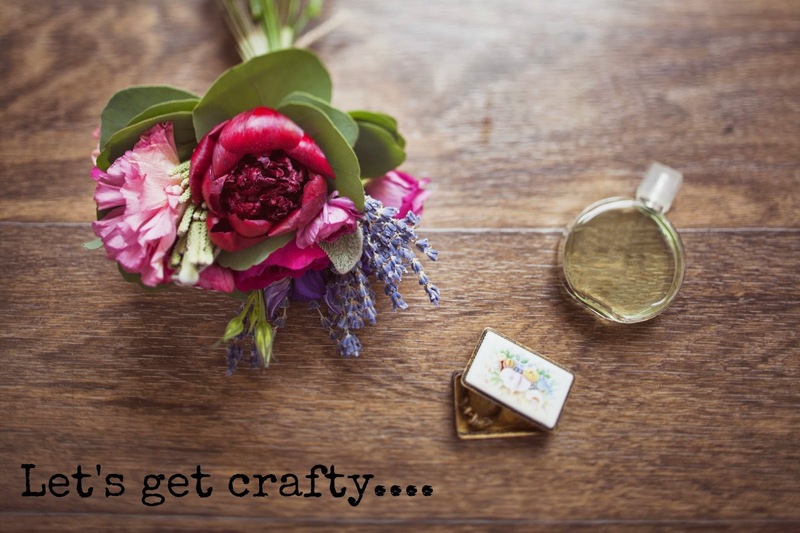 Use your finished piece as a planter, vase or a penholder or just a décor item in and around your home. These would also make for great little gifts. So I hope you will give it a try and turn some in-expensive things around the house into something beautiful. Ujjwal, thank you SO much for this fabulous tutorial. 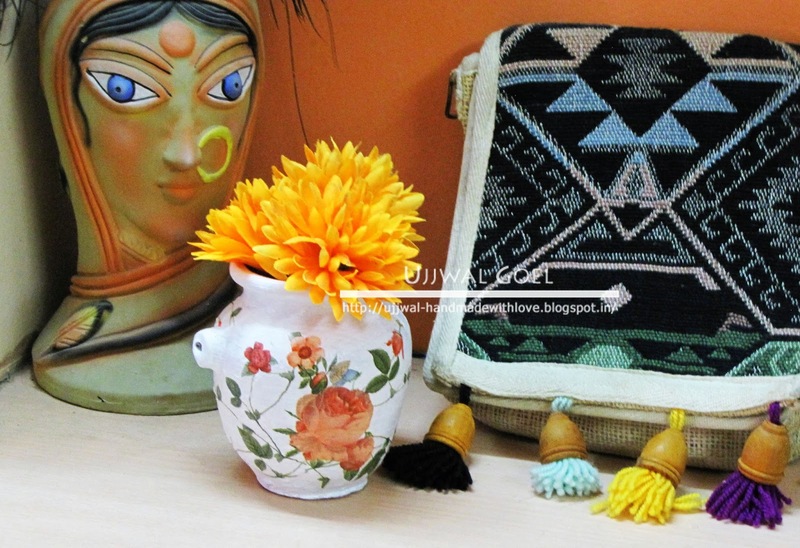 You could connect with Ujjwal through her website, blog or Facebook page. Decoupage supplies can be found in my store as well. You can read rest of the series here. Very smart. I really like the results. I think i will have to try this. She has so much talent, it's inspiring! Beautiful!! This is really a great idea! It is, isn't it? Thank you. Great coincidence this .... 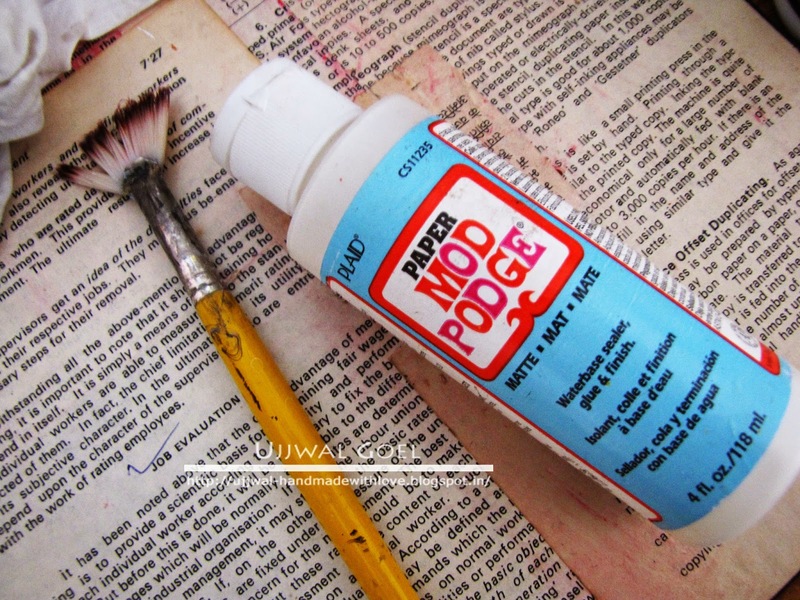 I have just recently learned about decoupage & was wanting to ask you if Mod Podge is decoupage glue. That question answered, on to the next .... can you decoupage on glass?